Romania is a country located in South-East Central Europe, North of the Balkan Peninsula, on the Lower Danube, within and outside the Carpathian arch, bordering on the Black Sea. Almost all of the Danube Delta is located within its territory. It shares a border with Hungary and Serbia to the west, Ukraine and the Republic of Moldova to the northeast, and Bulgaria to the south. The territory's recorded history includes periods of rule by Dacians, the Roman Empire, the Kingdom of Hungary, and the Ottoman Empire. As a nation-state, the country was formed by the merging of Moldavia and Wallachia in 1859 and it gained recognition of its independence in 1878. Later, in 1918, they were joined by Transylvania, Bukovina and Bessarabia. At the end of World War II, parts of its territories (roughly the present day Moldova) were occupied by USSR and Romania became a member of the Warsaw Pact. 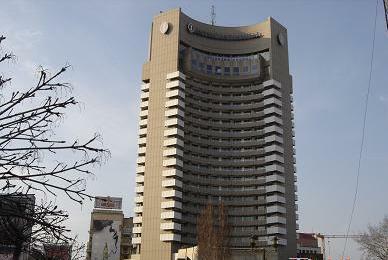 With the fall of the Iron Curtain in 1989, Romania started a series of political and economic reforms. 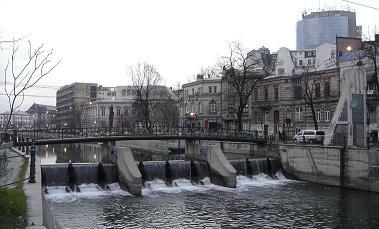 After a decade of post-independence economic problems, Romania made economic reforms such as low flat tax rates in 2005 and joined the European Union in January 1, 2007. While Romania's income level remains one of the lowest in the European Union, reforms have increased the growth speed. 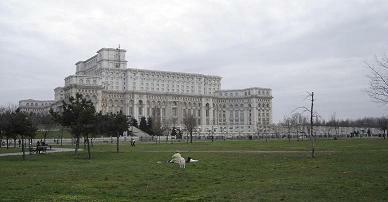 Romania is now an upper-middle income country economy. Romania has the 9th largest territory and the 7th largest population (with 21.5 million people) among the European Union member states. Its capital and largest city is Bucharest (Romanian: Bucures,ti Ro-Bucures,ti.ogg /bu.ku?re?t^(j)/ (help�info)), the 6th largest city in the EU with 1.9 million people. 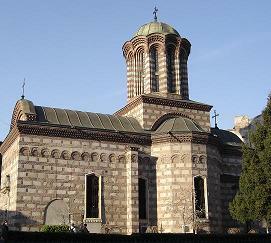 In 2007, Sibiu, a city in Transylvania, was chosen as a European Capital of Culture. Romania also joined NATO on March 29, 2004, and is also a member of the Latin Union, of the Francophonie of the OSCE and an associate member of the CPLP. 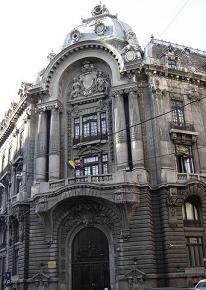 Romania is a semi-presidential unitary state. 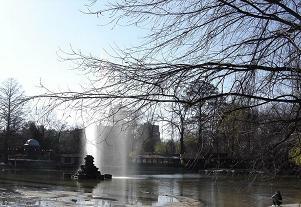 Maliuc is one of the Delta�s youngest settlements. Lake Furtuna, one of the region�s largest lakes, lies just to the north of Maliuc. Pairs of swans and numerous moor hens and wild ducks mingle with other species while white pelicans often gather in huge numbers to feed and roost around this lake. Crisan is the main stepping-off point between Tulcea and Sulina.A fishermen�s village with a few houses spreading over the right bank and a fishery on the opposite shore, it makes an excellent base for exploring the surrounding lakes and canals. Private guestrooms and B&Bs are available. From here, you can rent a boat, or lotca, from the locals, and travel on the Old Danube Canal to Mila 23 or to Caraorman (Black Forest in Turkish) village and Caraorman Forest, a strictly protected reserve with brown oak trees, white and black poplars, white willows and fluffy ash surrounded by sandbanks. Owls, white-tailed eagles, falcons, wildcats, boars and wolves, as well as many rare plants, thrive in the area. Its winters are quite cold and summers quite hot, but Romania is a year-round destination. There is much variation in its climate: the average annual temperature in the south is 11�C, 7�C in the north and only 2�C in the mountains. In recent summer months, temperatures have risen to above 40�C in Bucharest and along the Black Sea coast, while winter chills of below -35�C are not unknown in the Bras,ov depression and around Miercurea Ciuc in Transylvania. In general, Romania�s climate is transitional between temperate regions (the southeast can feel positively Mediterranean) and the more extreme weather characteristics of the continental interior. The average annual rainfall is 675mm; this figure is doubled in the mountains and in the Danube Delta it�s often half that. Summer (June to August) is an obvious time to visit for beach fun on the coast and for hiking and mountain biking in the Carpathians; all tourist facilities are open then and the weather is usually great, but you will have to share the sites with more tourists. Best times for bird-watching in the Danube Delta are mid-April to mid-May, and in October. Spring in Romania is a pastiche of wildflowers, melting snow and melodious bird song. At higher elevations, snow lingers as late as mid-May (the Transfa(ga(ra(s,an road doesn�t open until June!) and the hiking season doesn�t begin in earnest until mid-June. The best months for skiing are December to March, though the season extends either way some winters. Moldova is best to visit from spring to autumn, as skiing is almost non-existent and winter sports are not well-developed there. October�s Wine Festival is an especially tempting time to visit, though spring and summer are best for city strolling and hiking in remote areas. Cheaper than much of Europe, Romania and Moldova have nevertheless graduated from the dirt-cheap-trip category in recent years, with basic, modern hotel rooms edging into the �40-per-night level, and a sit-down meal with a beer, some meat and soup costing between �7 and �10 (and higher in Bucharest or Chis,ina(u). Car-hire rates tend to be high too � up to �40 per day � but bus and train tickets are quite cheap (about �3.50 to �7 per 100km by train). Those looking to save can relish the abundant fast-food stands selling burgers, kebabs and pizza slices (about �1.50 to �2.50), and the abundance of cazare (private rooms) available from entrepreneurs loitering at train stations or the more organised agroturism B&B network, which run about �10 to �15 per person, including breakfast. These can provide lunch and dinner upon request. For a couple wishing to stay in mid-priced hotels, dine out once or twice a day and perhaps hire the occasional guide or go on guided tours, expect to pay �60 to �100 per day total, excluding travel. Backpackers staying in private rooms, eating only one meal in a restaurant and excluding guides or travel expenses can expect to pay more like �20 to �30 per day. Some remote areas � such as Maramures,, Transylvania�s Saxon churches, Moldavia�s painted churches, much of Moldova � are far easier to see with a guide or a hired car. Those wanting to go on long-term hikes should consider going with a guide too. The national currency of Romania is the leu (plural lei), which, literally translated, also means lion in Romanian. The leu is divided into 100 bani (singular ban). 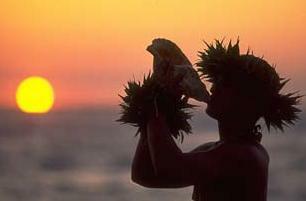 On July 1st 2005, the new leu (code RON) replaced the old leu (code ROL) at a rate of 10000 old lei for one new leu. As of the beginning of 2007 ROL banknotes and coins are no longer legal tender but can still be exchanged at the National Bank and their affiliated offices. Coins are issued in 1 (gold), 5 (copper), 10 (silver), and 50 (gold) bani denominations, but 1 ban coins are rare. Banknotes come in denominations of 1 (green), 5 (purple), 10 (red), 50 (yellow), 100 (blue), 200 (brown), and 500 (blue and purple) lei denominations, are made of polymer plastic, and, except for the 200 lei, correspond to a euro banknote in size. However, 200 and 500 lei banknotes are not common. Romanian food is distinct yet familiar to most people, being a mixture of Oriental, Austrian and French flavours, but it has some unique elements. The local dishes are the delicious sarmale, mamaliga (polenta), bulz (traditional roasted polenta, filled with at least two kinds of cheeses, bacon and sour cream), friptura (steak), salata boef (finely chopped cooked veggies and meat salad, usually topped with mayo and decorated with tomatoes and parsely), zacusca(a yummy, rich salsa-like dip produced in the fall) as well as tocana (a kind of stew), tochitura (an assortment of fried meats, and traditional sausages, in a special sauce, served with polenta and fried eggs), mici (a kind of spicy sausage, but only the meat, without the casings, always cooked on a barbecue). Other dishes include a burger bun with a slice of ham, a slice of cheese and a layer of French fries, ciorba de burta (white sour tripe soup), ciorba taraneasca (a red sour soup, akin to bors without the beet root and using instead fermented wheat bran, with lots of vegetables), Dobrogean or Bulgarian salads (a mix of onions, lettuce, tomatoes, cheese, white sauce and ham), onion salad - diced onion served in a dish, tomato salad - diced tomato with cheese, pig skin - boiled and sometimes in stew, and drob (haggies) - a casserole made from lamb or pork liver and kidneys. Local eclectic dishes include cow tongue, sheep brain (Easter), caviar, chicken and pork liver, pickled green tomatoes and pickled watermelon. Traditional desserts include pasca (a chocolate or cheese pie produced only after Easter), saratele (salty sticks), pandispan (literally means spanish bread; a cake filled with sour cherries), and cozonac (a special cake bread baked for Christmas or Easter). Bread (without butter) comes with almost every meal and dill is quite common as a flavoring. Garlic is omnipresent, both raw, and in special sauces (mujdei is the traditional sauce, made of garlic, olive oil and spices), as are onions. Generally, there is good street food, including covrigi (hot pretzels), langos,i (hot dough filled with cheese), gogos,i (donut-like dough, coated with fine sugar), mici (spicy meat patties in the shape of sausages), and excellent pastries (many with names such as merdenele, dobrogene, poale-n brau, ardelenesti), thin pancakes filled with anything from chocolate and jam to bananas and ice-cream. Very popular are kebab and shawarma (s,aorma), served in many small shops. Most restaurants in Romania, especially in more regional areas, only serve Romanian food, even though it is similar to Western European food. 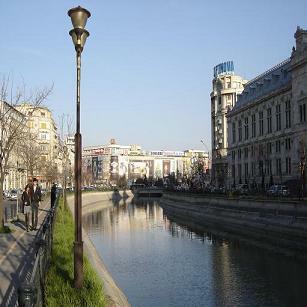 Especially in Bucharest, there is a wide variety of international food, especially mediterranean, Chinese or French. There are also fairly plentiful international fast food chains. The interesting truth about these is that they are just nominally cheaper than restaurants, with the quality of the food being of an international standard but quite much lower than that served in restaurants. Therefore, go for the restaurants when you can - they provide a much more authentic and quality experience at prices that aren't too much higher. Getting to Romania is easy from nearly all parts of the world, due to its position, as well as the fact that it is served by an array of transport types and companies. Entry requirements to Romania in the past few years have been liberalized, and consequently, citizens of the European Union, United States of America, Canada, Japan, Switzerland, Australia and New Zealand can stay up to 90 days with no visa. Nationals from Turkey can stay up to 60 days in Romania, while those of most former-Communist Eastern European countries can stay up to 30 days. To make sure, check the official visa information provided by the Romanian Ministry of Foreign Affairs mae.ro before you travel. If you do need to obtain a visa from outside your own country, try obtaining it from somewhere else beside Budapest, where it can take 3 to 4 days. From Ljubljana the process can sometimes be done in a day because they are not so busy. Romania is relatively well connected with the European rail network. There are daily international trains to Munich, Prague, Venice, Vienna, Budapest, Zagreb, Belgrade, Sofia, Thessaloniki, Istanbul, Chis,ina(u, Kiev and Moscow. But due to the poor quality of rail infrastructure in the region train travel on long distances takes considerable time. International trains to Romania include EuroCity trains which are of a relatively high standard and night trains. Romania is part of the Eurailpass offer. The easiest, most comfortable and most rewarding way of traveling between cities is by train. Romania's railway network is one of the largest (the 4th in Europe) and most dense in Europe, with trains servicing every town and city in the country, and the many villages. Usually a train station is no more than 10km from a village, in the vast majority of cases. Traveling by car or coach is the easiest way and a vast majority, over 60 percent of foreign tourists use this way of transportation. The steering wheel is on the left and European driver's licenses are recognized by police. For Americans, a passport and valid US driver's license are sufficient for car rental. If you drive your own car, you must purchase a road tax sticker (the "Rovinieta") either from the border or from the nearest gas station. Driving without one will incur a severe fine. Bus can be the least expensive method to travel between towns. In the Romanian towns and cities, you can usually find one or several bus terminals (autogara). From there, buses and minibuses depart for the the towns and villages in the nearby area as well as to other cities in the country. You can find timetables on autogari.ro. Minibuses are usually very uncomfortable; some buses are old and slow. Schedules are not tightly followed, and delays of over an hour are not uncommon, especially for inter-city buses. Romanian roads are in a rather bad shape, with most of the trunk network being made of one lane per way roads (fairly similar with British rural roads), and only about 250 km of expressway. Most minibuses employed are small, crowded, 14-seat vans (some converted from freight vans), with some longer routes employing 20-seat mini-buses. For commuter and suburban routes, expect an overcrowded van (25 passengers riding a 14 seat van is quite common, with 40 passenger loads not being unheard of), with no air-conditioning, which stops several times in every village. Inter-city bus travel is only slightly better - most vehicles used are also converted vans, or, at best purpose-build minibuses, with only some being air-conditioned. Seating is generally crowded, and in most cases, there is no separate compartment for luggage. Most have no toilets on-board, calling for 30 minutes stops every 2-3h. All in all, the experience of traveling by minibus is quite similar to that of traveling in a Russian or Ukrainian marshrutka. However, buses are the best solution for a number of routes badly served by the railway network, namely Bucharest - Pites,ti - R�mnicu V�lcea, Bucharest - Alexandria, Bucharest - Giurgiu and Pites,ti - Slatina. The comfort of vehicles is steadily improving, at least in Transylvania along the longer routes serving larger cities. You will find buses from respected companies (such as Normandia or Dacos ) which offer punctual and reasonable, though not always sparkling, conditions, and on which a luggage compartment will always be available. Toilet stops still need to be made, but they happen usually in places where you can also buy food or drinks. Be aware though that on Fridays, Sundays, and close to national holidays such buses tend to be overcrowded, so a reservation by phone might be necessary. Buses inside the cities are often crowded. This gives pickpockets good opportunities. The pickpocket problem seems to be not essentially worse than in any other European city. Please, pay attention.